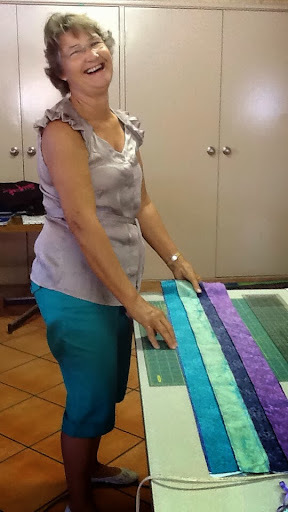 We were lucky enough to be visited by Kerry Moore over the weekend. 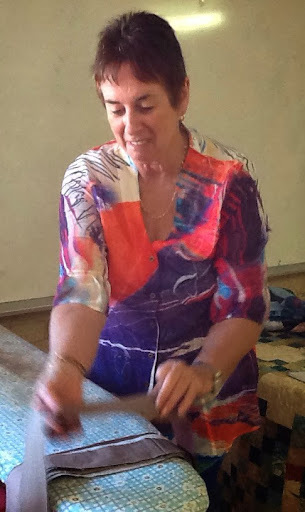 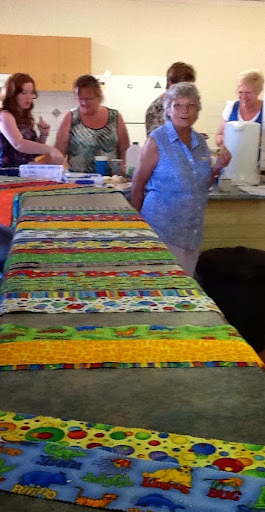 She came to town to teach us THREE quilts. 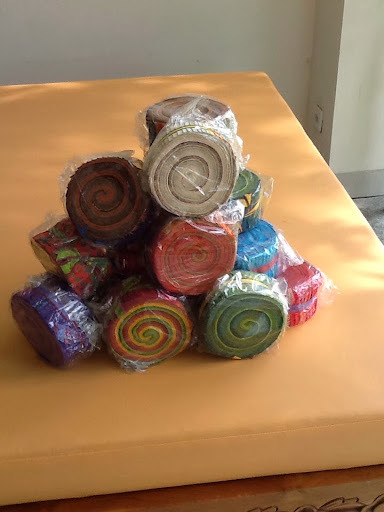 They were all using jelly rolls and we managed to get a pile of them for the workshop. 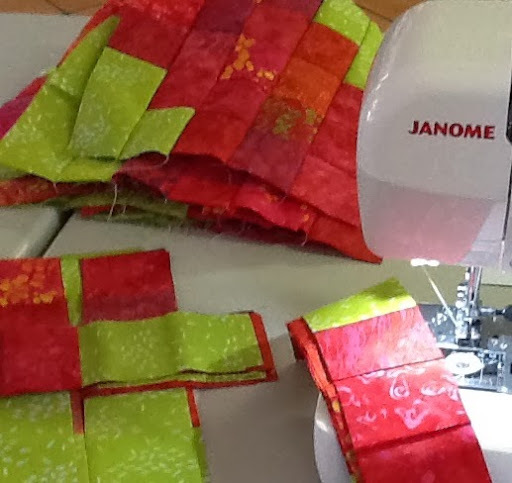 There was a little homework involved for those of us who wanted to make all three quilts but despite our best plans and detailed organisation we hadn't allowed for a power failure. 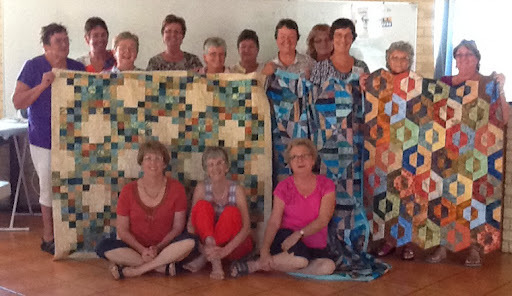 Kerry is such a talented tutor and she handled the group working on each quilt similtaneously. 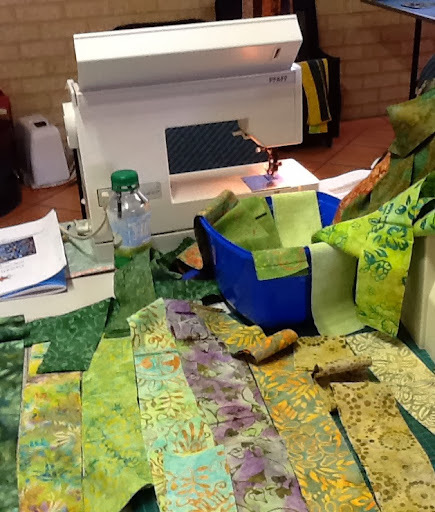 We had colours of all sorts flowing from our machines until the power went out and then we had to have a cup of tea before the urn went cold. 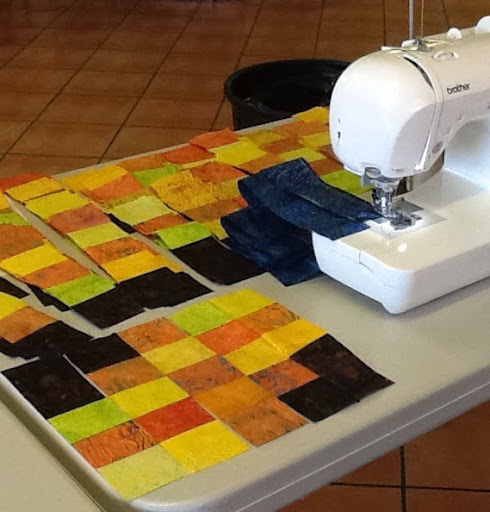 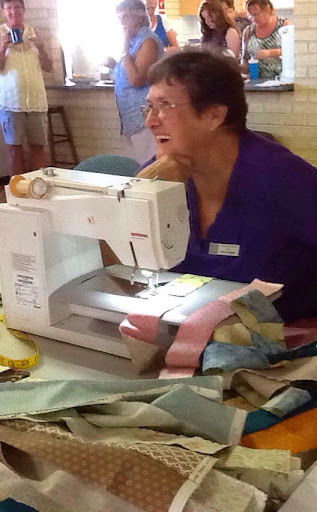 Despite the cooling urn, cold irons and dark and quiet machines our rotary cutters could work and Kerry gave as all the information to finish off the quilts...........and she had a chance to start her long drive home just a little earlier than expected. 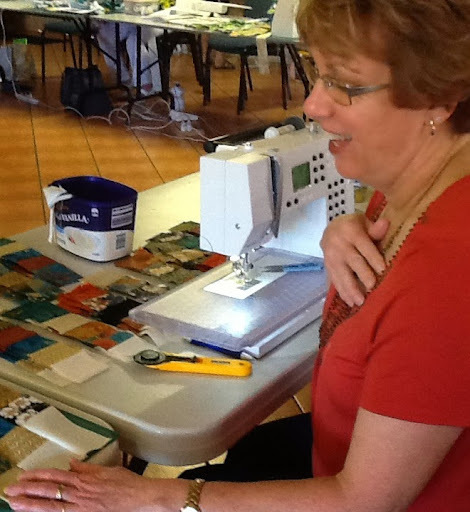 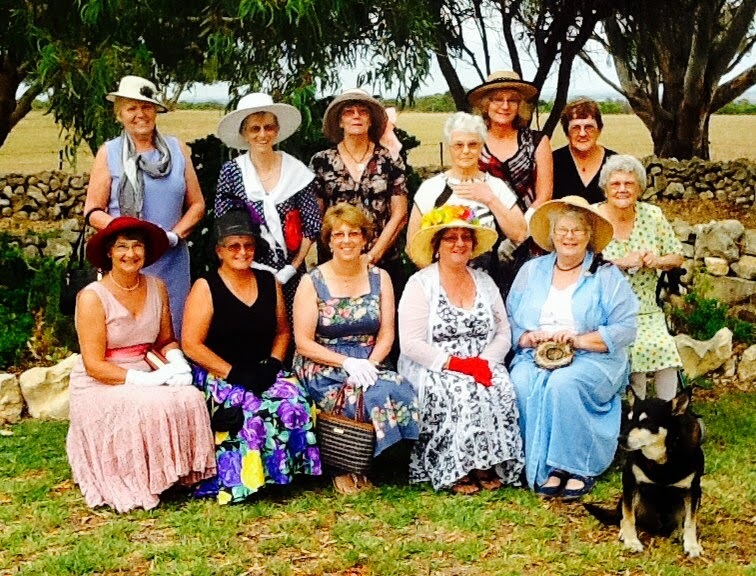 Thanks for coming up to Dongara Kerry, it was a great workshop.